Here are two more rarely seen bird varieties... Both of these birds tend to be territorial and judgmental, and their voices are harsh. 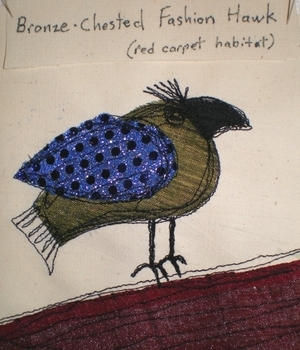 This is the Bronze Chested Fashion Hawk in its usual red carpet habitat. 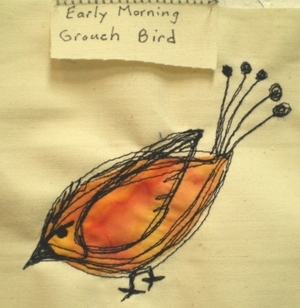 And this is the Early Morning Grouch Bird.